Proudly bearing the title of ‘Lonely Planet’s Best European Holiday Destination for Families’, the green English county of Kent has much to offer. Known as ‘The Garden of England’, visitors will fall in love with its rolling hills and scenic views. Lush countryside gives way to spectacular coastline, and the area has many fantastic child friendly attractions that make holidays there a delight. Founded in 1984 by animal lover John Aspinall, this 600-acre site provides a safe haven for many endangered species. 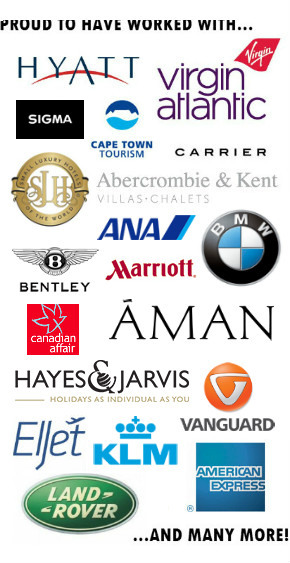 The reserve is responsible for re-introducing previously extinct wild horses to Mongolia, as well as protecting some of the last few Black Rhino and successfully breeding other critically rare animals. The huge area provides a true safari experience, as visitors are driven in off-road trucks through natural expanse filled with giraffe, rhino, buffalo, antelope, ostrich and more. Guests can get within metres of the beautiful creatures for brilliant photo opportunities, before walking around the rest of the animal enclosures. 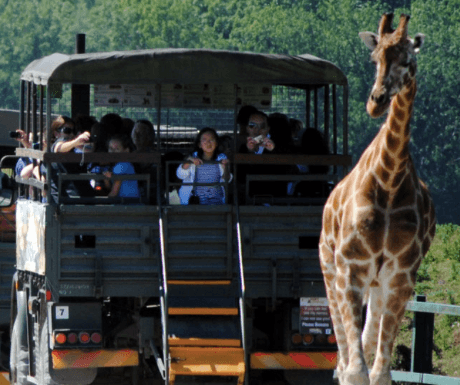 Keeper talks on the different kinds of animals as well as feeding times are an educational treat; for a really special experience book to hand-feed the gentle giraffes or the mighty gorillas! There is also a fantastic ‘Dinosaur trail’ through woodland, complete with life-sized replicas of the prehistoric beasts. Two well-equipped children’s playgrounds and several cafes are also dotted throughout the site; there is so much to do that you may want to book an overnight stay in one of the exclusive luxury treehouses, with private balconies overlooking the ‘Kent savannah!’ These come with their own golf buggy so you can zip around the park after closing time for a truly remarkable encounter with the animal residents. The Livingstone Lodge houses a beautiful restaurant, perfect for child-friendly fine dining. 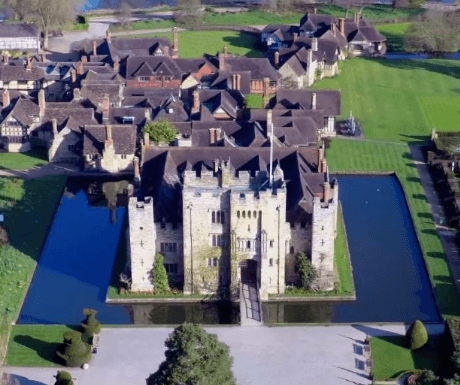 Visiting the childhood home of Anne Boleyn is a treat for children and adults alike, providing the perfect mix of fun and education. The 13th century castle is home to medieval coats of armour, tapestries and clothing, so visitors can get a real sense of how it was to live like royalty hundreds of years ago! Outside there are extensive manicured lawns and beautiful flower gardens as well as a large children’s play area and two-storey wooden maze. The ever-popular ‘water maze’, a labyrinth of booby-trapped stepping stones that spray its visitors with water, is brilliant for kids (bring a towel!) On weekends and in school holidays there are loads of activities to keep the whole family entertained, from ‘Knight and Princess School’ to archery, from live jousting tournaments to demonstrations of how to use medieval weapons. Keep an eye out for themed days: Georgian or Victorian eras, dog show days and many more. The lovely gift shop and upmarket café and restaurant are well worth a visit, and the giant outdoor barbecue is a real treat in the Summer! The world-renown miniature railway has been running for the past 88 years. 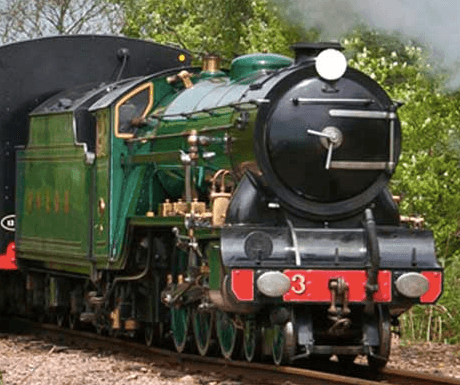 Featuring a number of steam-powered trains at one-third of the normal size, the tracks run for over 13 miles through the beautiful Kent countryside. The line terminates at a National Nature Park with one of the largest shingle sites in the World, with four stations in between. The beach is within walking distance to all the stations, so why not make a day of it with this special mode of transport? As well as the trains themselves, Romney Hythe station has a fabulous 1940s museum, perfect for a spot of history and nostalgia, as well as a model railway exhibition and children’s playground. The former home of beloved British Prime Minister Winston Churchill, Chartwell is a picturesque country home set upon a hill overlooking expansive gardens and woodland. Walking around the house, you step back in time as the rooms have been preserved with the same furniture and decorations that the Churchill family used from 1922. There is an annual exhibition of Churchill’s private possessions and artefacts as the National Trust endeavours to educate visitors about his life. When the adults have exhausted the historical displays on offer, head outside to run in the beautiful gardens and around the lakes that reflect Churchill’s love of nature. There are walking trails in the woods, children’s playground with swings and opportunities for den building. Seasonal activities include wreath-making in Winter and themed outdoor trails in Summer; Winnie The Pooh is currently featuring. Set among 28-acre grounds, Kent Life is a child-friendly cultural celebration of rural English heritage. The farmyard houses traditional breeds of farm animal in rustic barns and is the meeting place for the Young Farmers club, where children learn about good husbandry for cattle, sheep and cows. Cuddle Corner is a hit for younger kids, where they can get up close to fluffy friends such as rabbits and chicks. Outside there is a large children’s playground, donkey rides and seasonal activities such as water zorbing. On rainier days there is a three-storey soft play barn for the kids to let loose as well as pottery painting. 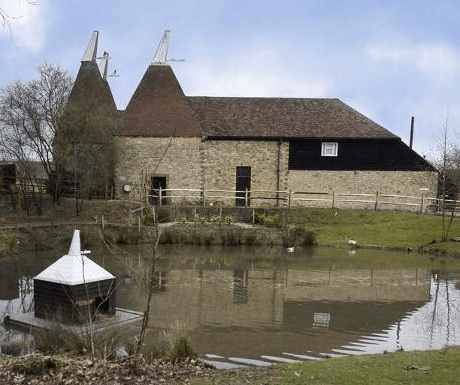 Older children may be fascinated to know that Kent Life was once owned by a lover of Anne Boleyn and has stood for nearly 500 years, seeing through the Tudor, Georgian and Victorian eras. The Vintage Village area is a great way to explore how life was in ‘the olden days’, with lots of wartime memorabilia and original buildings to explore. Seasonal extra activities and events include musical workshops, ‘Jaws and Claws’ reptile handling and Owl Academy.